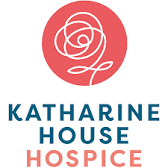 Our guest stall this April will be Katherine House, letting us know about all about their latest fundraising events and what’s going on at the hospice. As an extra special offer this month we are going to donate £1 to Katherine House for every customer through the door. So come on everyone come and join us on Thursday the 12th April at Adderbury Institute 6pm – 8pm!